The picture above is what many people think of when imagining the perfect Christmas decorations. The dog lying in front of the fireplace, the roaring fire with a warm orange glow and the tall Christmas tree decorated to the nines. The huge wreath decorated with everything that reminds you of Christmas hanging above the lush green garland laden mantle. You can just picture the snow falling on the pine trees outside the windows while your sipping a cup of decadent hot chocolate. While most don't have the ability or means to live in homes like this, don't worry because you can still feel the warmth of Christmas without having to spend hundreds or even thousands of dollars decorating. 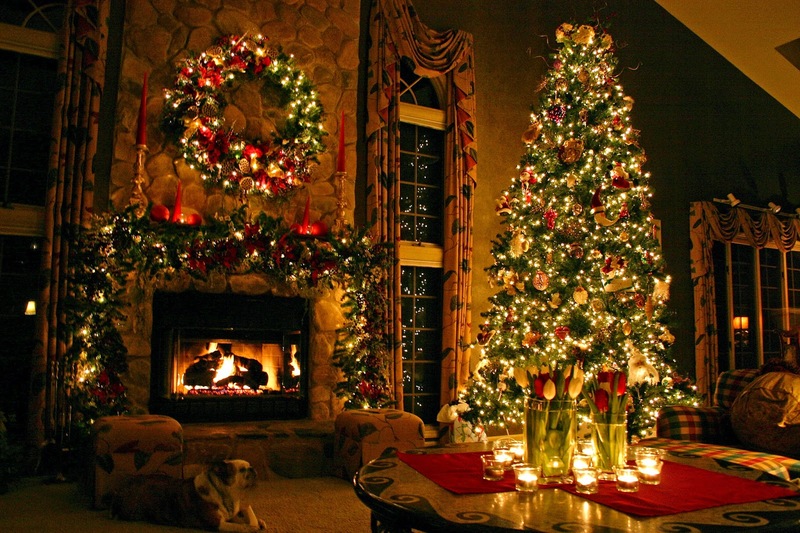 Even if you don't have a fireplace you can still get a warm Christmas look from your home. Whether you live in a studio apartment in New York City or a Swiss chalet, with a few decorations from our holiday decor page, you can decorate on a dime to get the look and feel of the season. Realistic looking artificial Christmas garlands and wreaths are a good start to bring your abode all the way through the holidays. Don't let the pictures and postings of others who may be professional designers get to you because we arrange everything then ship it directly to your door. Take a look at our holiday decor page and find the perfect fit for your home this holiday season. Save 10% off your entire order - Coupon is good through December 31st, 2014 ... hurry and shop today!